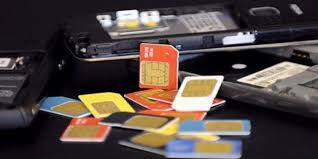 Department of Telecommunications (DoT) on Thursday issued a notice asking service providers which are offering Machine-to-Machine (M2M) services to follow Know Your Customers (KYC) norms before issuing SIM cards. (eSIM) with both single and multiple profile configurations with Over the Air subscription update facility, as per global specifications and standards. M2M communication refers to a communication between two or more entities based on existing and evolving communication technologies that do not necessarily need any direct human intervention. DoT told "the issuance of such M2M SIMs by authorised telecom licensee having valid licence under Indian Telegraph Act, 1885 to the entity/organisation providing M2M services need to follow KYC norms prior to issuance of such SIMs. The licensee shall ensure adequate verification of each and every customer before enrolling him as a subscriber." DoT said outgoing/incoming calls shall be allowed to/from predefined set of maximum one number and data communication shall be allowed only on maximum two numbers. Further clarified as "these restrictions are not applicable to calls made to emergency numbers like police, fire, ambulance, etc"